VIO 4K is a premium all-in-one video scaler, scan converter, switcher, coder and transcoder. It can convert any input signal format to any output format up to 4K@30Hz and features full input and output connectivity including HDMI, DisplayPort, Dual-Link DVI, SDI, optical and of course legacy analog video. VIO 4K can be equipped with optional I/O expansion interfaces featuring the latest generation of connectivity and able to convert formats up to 4K@60Hz. 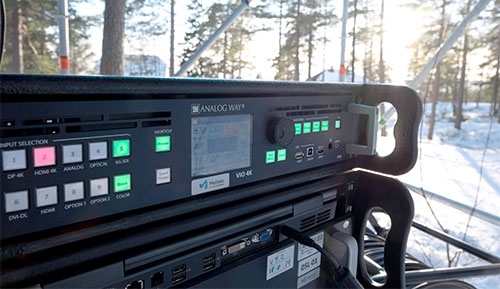 VIO 4K can also process embedded or de-embedded external analog/digital audio signals. The VIO 4K has been designed to provide a robust hardware platform that you can rely on for all of your video conversion needs. Engineered to be road-hardened to survive demanding live event environments, it provides worry-free operation with maximum uptime and low maintenance. 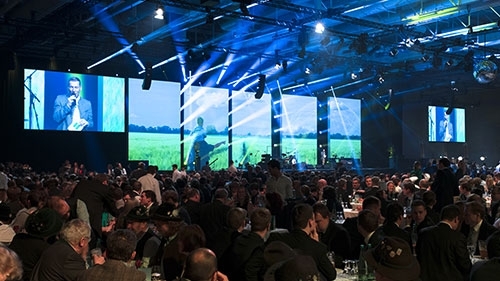 From live concerts, to permanent LED walls in stadiums, the VIO 4K is the ideal solution for all of your scaling and conversion needs. 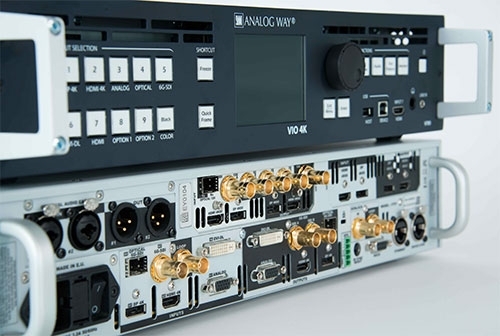 VIO 4K includes three slots for optional I/O interfaces to provide expansion for input and output connectivity as well as latest generation video standards. An extensive set of audio and video expansion modules is available. The most powerful module provides worldwide unique performances and can convert HDMI 2.0 or DP 1.2 to either Quad-Link 3G-SDI or 12G-SDI, and vice versa, while supporting formats up to 4K@60Hz 4:4:4. VIO 4K exclusive high-quality processing engine ensures crisp and natural images whatever the source and the scaling level, while maintaining ultra-low, 1 frame of latency for all of your live event needs. The Web RCS offers a user-friendly graphic interface. 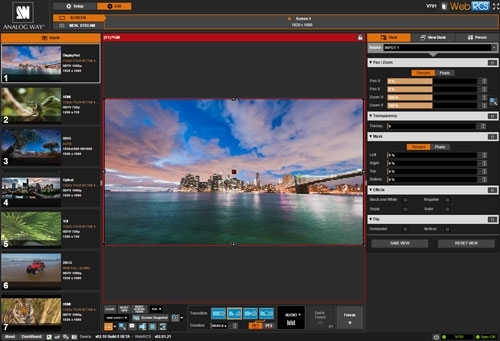 With dynamic thumbnails of the connected sources available in the interface, the intuitive dashboard allows operators to fully adjust their displays and control them during their live events.